The Napoleon Arched Wrought Iron Double Doors are made from quality material, heavy wrought iron, in addition to coming with integral hinges. 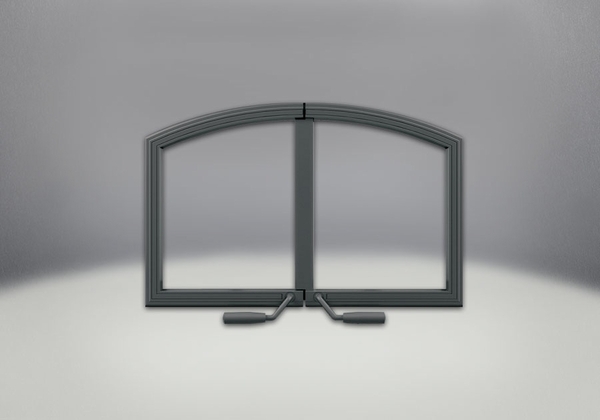 The pycroceramic glass viewing window, included with this option, is attractive and definitely a feature that will enhance your hearth experience. In addition to the replaceable gasket and retaining brackets, these features are well worth the special attention used to formulate their components specifically for the Napoleon High Country NZ3000H fireplace.